PPC or pay per click is the advertising modality on which most online campaigns are based on, such as Google advertising. For advertisers, this model was a real revolution, since until then they had to "shoot blindly", investing their budgets into campaigns whose results had no quantitative measurement. In short, the PPC model is a basic concept to understand digital marketing. But do you know exactly how it works, what advantages it holds and how to apply it? PPC or pay per click is a digital advertising model in which the advertiser pays an amount (fixed or determined by auction) each time a user clicks on one of their ads to visit their website. The idea of a pay per click campaign is to "buy visits" for a specific site. The aim is generally to generate a specific type of user action, such as registering or buying a product, for example. PPM (payment per thousand): the advertiser pays a fixed amount for every thousand impressions, that is, every time the advertisement is shown a thousand times to the users. Keep in mind that with this model we do not know how much we will pay for each visit, due to difficulties in predicting how many clicks each additional thousand impressions will generate. PPA (payment for acquisition): the advertiser pays for each time the user performs a certain action, for example, each time the user downloads an application. Therefore, the link between cost and objectives is even more evident than in the case of the PPC. The CPC is the price paid by the advertiser for each click on your ad. Here you can agree on a fixed price for each click or determine the price through an auction. In the case of the latter, the advertiser establishes a bid or maximum price that their willing to pay for each click. The system compares the ad with similar ones based on their quality and the price they are willing to pay, and shows the winning ad in the first place. The CTR (click through rate) is the percentage of users who click on an ad with respect to the total number of users who have seen it. In general, the better an advertisement is, the higher its CTR will be. 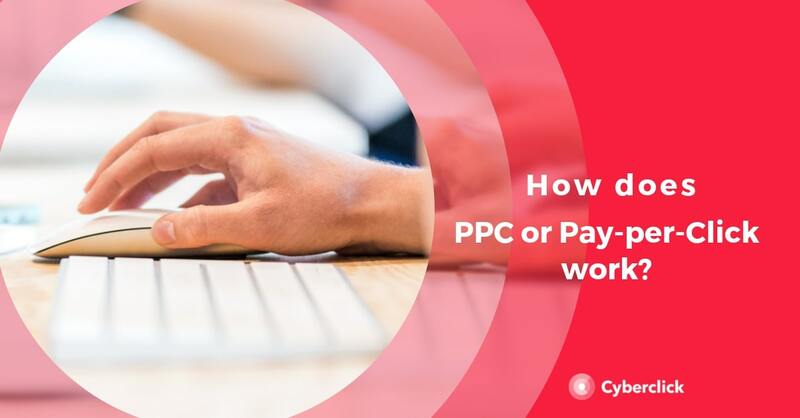 In some PPC systems, the CTR is a determining metric for setting the price of an advertisement, since the system "rewards" ads that have higher quality and, therefore, higher CTR. We give the name "impression" to each of the visualizations that an advertisement receives, whether the user clicks on it or not. With online advertising, we have great control over the audience to which our ads are directed. We can segment the audience that will see our PPC campaigns based on factors including: age, gender, location, interests, behaviours … etc. Each pay-per-click platform offers different options that we can combine to achieve a high level of accuracy. Thus, we make sure to pay only for clicks from users who have a good chance of becoming our customers. The landing page is the site to which the user is directed after clicking on our ad. It depends on the user whether they end up converting or leave after just a few seconds. This implies that it is very important for the site to be well optimized. The main characteristics of a good landing page are clarity, simplicity and relevance with respect to the advertisement. Conversion is probably the most important metric in a PPC campaign, measuring the performance of our ad in economic terms. We give the name "conversion" to each of the purchases made by a user after clicking on an ad. The conversion ratio is the percentage of users converted to customers with respect to the number of users that clicked the ad. The number of times each ad is shown to a specific user during a given time period. To calculate frequency, we divide the number of impressions among the number of unique users. Most commonly, users have several impulses from the same campaign, and this ensures that the user does not merely fly over the ad, but is actually impacted. Frequency is to be treated with caution, and excess targeting can end up generating rejection and spam. This will result in the contrary effect to the desired. You only pay for the visits you receive. In other advertising models, the advertiser pays a fee for having the ad shown, but does not have the guarantee that it is generating results. On the other hand, with pay per click, there is a direct link between cost and performance (visits). You have a lot of information about the performance of the ad. The pay per click platforms offer the advertiser complete information about what is happening with the advertisement, including the number of impressions, clicks, CTR and conversions. Good optimization possibilities. With all this data, it is very easy to know if an ad is working or not and correct the course in real time. In fact, the most advisable strategy is to create several variants of each ad and compare them to see which ones work best. In this way, we can get our advertising to have better results every time. The ads reach the right audience. Thanks to the multiple segmentation options, we don’t waste a single click, since only the users that interest us will see the ad. This, in turn, improves the results of the ad, since a user who is part of the target audience is more likely to click. And as we have seen, the higher the percentage of clicks, the lower the cost of the ad. You can control your budget with precision. PPC models allow you to set a maximum budget per day, and in some you can start with just one euro. This means that they can be adapted to advertisers of all sizes and that you can control in advance how much you spend on each campaign. You can decide where and at what times your ad will be shown. Within the pay per click model, you can show your ads on many different platforms and locations (in the next section we show you some examples) and select the ones that interest you the most. Some sites also allow you to choose the days and times when your ads will be shown. You will achieve better positioning and visibility. Thanks to the PPC, you can show your ads on some of the sites most visited by users, such as search engines, social networks or the most famous web portals. Examples: where is pay per click used? Search engine advertising, also known as search engine marketing (SEM), allows you to show ads to users based on the keywords entered the search bar (for example, "car sharing in London"). The main search engines, such as Google and Bing, use a model based on PPC through auction. It is highly visible, since ads appear on the first page of the search engine results page (SERP), or in other words, page one on Google. Being able to position your website there in an organic way can cost you years of work, but thanks to ads, you can establish your presence at a reduced cost. It is very effective, since it is aimed at users who are looking to satisfy a specific need that has to do with our products or services. The main advertising tools on social networks, such as Facebook Ads or Instagram Ads, offer pay per click options. These types of ads are located within the user's social network experience, either in their latest news section or in a side column. One of their main advantages is that they allow us to take advantage of the information that the social networks have on the user, so that we can launch highly segmented PPC ads (for example, "married men who have recently moved to X"). Finally, PPC is also used when displaying banner ads on websites related to the brand's products and services or the interests of its target audience. These types of campaigns can be very effective if they are implemented well, but you have to be careful to avoid falling into intrusive advertising. It is also worth keeping in mind that CTRs are usually much smaller than in other types of ads, so a larger audience is required. The slack growth study: achieving over 2 million active daily users.